A U.S. company that stocks college bookstores with t-shirts and other team apparel cut its ties Wednesday with a Chinese company that drew workers from an internment camp holding targeted members of ethnic minority groups. Last month an Associated Press investigation found the Chinese government had also started forcing some detainees to work in manufacturing and food industries. 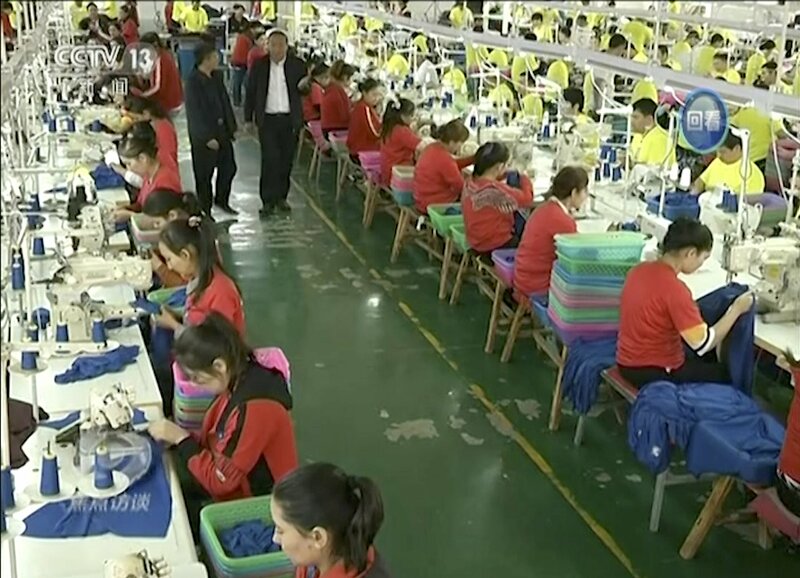 The investigation tracked recent shipments from one such factory, the privately-owned Hetian Taida Apparel located inside an internment camp, to Badger Sportswear, a leading supplier in Statesville, North Carolina. Hetian Taida was certified as complying with good business practices by Worldwide Responsible Accredited Production, which sent an auditor to a different Hetian Taida facility, not the one inside the internment camp. That factory “is not engaged in the use of forced labor,” concluded WRAP and Badger. But Badger added that “historical documentation provided by Hetian Taida regarding their prior facility was insufficient to conclude with certainty” that it had met Badger’s sourcing standards. “There is nothing in Badger’s statement, or WRAP’s, that calls into question the conclusion that Hetian Taida used detainee labor while producing for Badger,” he said.